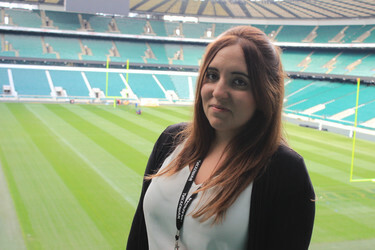 Twickenham's Business Development Manager, Louise Evans, has been busy touring the country over the last couple of months as part of the Twickenham Travels campaign, so we thought we would check in with her to see what she's been up to! As Business Development Manager, what does your day to day involve? Every day is totally different, you rarely find me sitting at a desk as I am often out visiting clients. A huge part of my role is communicating with our key clients and partners, generating new business, building relationships with new clients and generally talking all things Twickenham. There has been a huge investment in the meetings and events spaces and ongoing projects happening behind the scenes so I always have a lot to shout about! Ultimately, my role is to ensure that we understand the client objectives at enquiry level and ensure we create a truly exceptional experience from the site visit right through to the debrief. The team at Twickenham are incredible so it makes my job much easier, everyone takes a huge amount of pride in their work. Where were you before Twickenham? 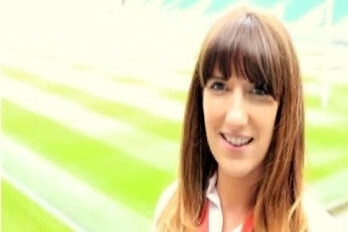 This is my first role in a stadia which was an exciting move for me, my career to date has been in the hotel industry, where I spent over 6 years working at Exclusive Hotels and Venues, (one of which happens to look after the England Team during tournaments). You've been involved in the Twickenham Travels campaign, tell us a bit about this…The Twickenham Travels campaign is a great tool for us to reach out to as many clients as possible during the Six Nations - as you can imagine it's a busy time at Twickenham HQ so if clients couldn't visit us onsite we would take a little bit of Twickenham to them. It was an opportunity to celebrate being part of the tournament, create awareness of our event offerings and to bring a little fun to the campaign that clients could get involved with. What's the best bit of your role? Working with so many lovely clients across a range of industries. Finally, which space at the stadium is your favourite and why? Pitch side and the Players Tunnel. It gives Clients the opportunity to create a unique experience for delegates during a conference whether it's a team photograph, learning the Hakka or a black tie drinks reception. Event engagement is imperative for our clients when they are onsite, what better place to motivate and inspire delegates than following in the footsteps of our National Team.